In the 1800s up to around 1920s, local children around the midlands and northern England, County Durham, Lancashire, and particularly Yorkshire, would enact a curious custom like a mix between carol singing and May Dolls. 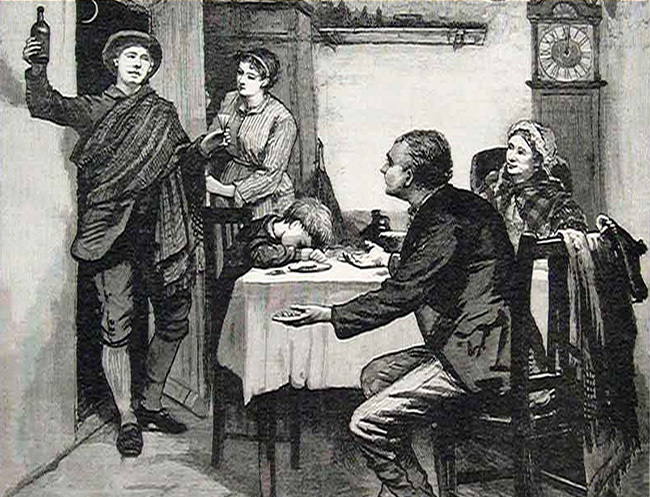 The custom had many names, often localised Wesley Bob, a Wassail Bob, a Vessel Cup, a Pretty Box or a Milly Box. When the custom was done varied. Visitation days varied accounts recorded in Yorkshire emphasis this variation in Thorpe Hesley it began at Christmas Eve and went on for two to three days. Whereas Hoyland Common only on Christmas day morning. West Melton and Hemingfield it was Boxing Day and Rawmarsh it was New Year’s Day. Generally though the tradition would begin at Advent or more often St. Thomas’s Day, although in some areas it was November, suggesting there is nothing new in the early celebration of Christmas! How the custom was organized differed from place to place. Sometimes it was a private form of begging and at others organized by the church. The basic approach was as follows: two girls would be the ‘vessel maids’ and they carried a box, decorated with evergreens, often fruit and spices, from home to home, covered in a white cloth. At the people’s homes, the girls would sing a carol and solicit the homeowner for some money, usually a penny, to reveal what was under the sheet. This was a scene of the Holy Family. To line the purse within. “Here we come a–wessailing (sic), among the leaves so green. And here we come a—wandering, so fair to be seen. And God send you a Happy New Year, a New Year! But we are neighbour’s children, that you have seen before. And I want a little of your money to link it well within. Then the box contents were revealed! All these associations perhaps link it to a possible pagan origin. Certainly, Wright (1906) believed it was associated with pre-Christian deity Dionysius. For as a baby he was placed in a cradle and surrounded by flowers, although it is more likely the biblical crib story derives from that. 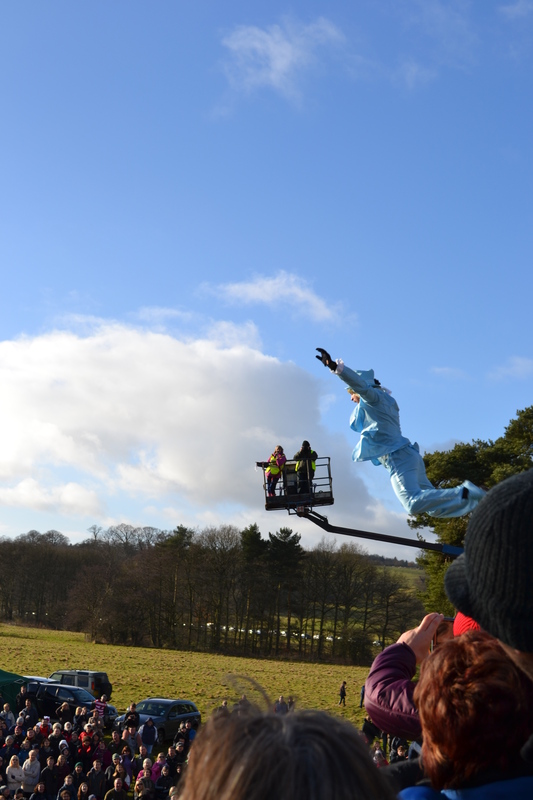 He also notes that the name vessel came from ship and that the effigy was the boy Sceaf (afterwards changed to Jesus) as a representation of the birth of a new year. Support for this comes from author such as Chaucer who does record the belief that New Year “like a child, came over the sea in a ship.” However it is more likely that it comes from wassail as in was hael ‘good health’. And no actual cup! Thomas et al (1926) in their Advent Images and Lucy Green, continues on the theme, the Lucy green is a small child dressed in evergreen branches and called it “Lucy Green.” And another called “Turkey Claw Chori” where a turkey claw as a badge of office for those soliciting money. Even the song changed ‘Seven Joys of Mary’ but sung to the tune of ‘God rest you merry.’ However, a search on the internet shows people are keen to revive and presenting some stateside Catholics have revived it…will it ever return here…time will tell. Belated happy new year…this year I’ve decided to add another category, customs contrived…for all those bizarre newer customs like this one! New Year’s Day 2013 was a delightful day and rather than stare at each other glumly over another gigantic repast which took three hours to prepare and less than half an hour to consume, we decided to go out. 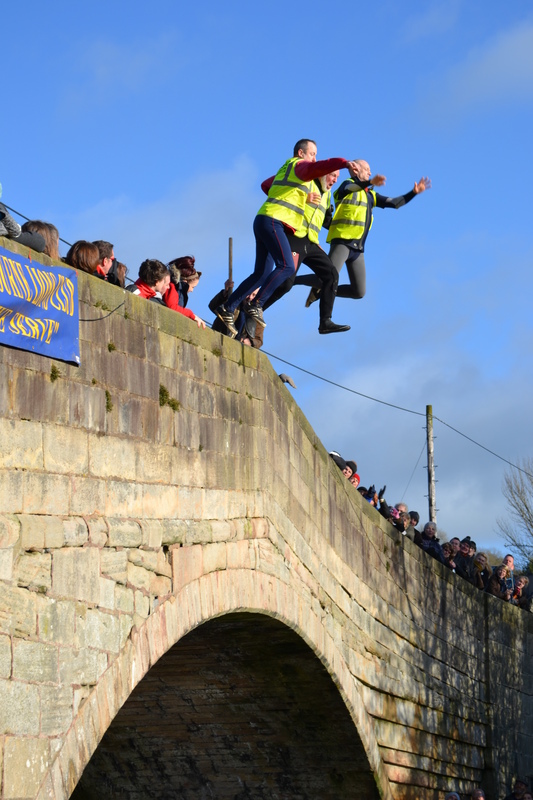 There are very few traditional customs or ceremonies enacted on the day, especially within easy distance of me, but over the last decades a growing number of bizarre sports and activities have grown up to welcome in the New Year..Mappleton Bridge Jumping is one such. 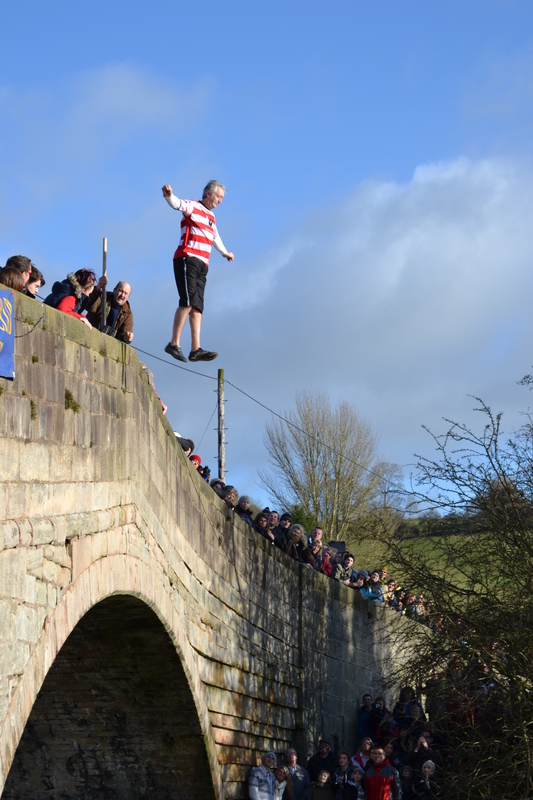 The river Dove is said to the coldest in England and so naturally when told that the first think you want to do is jump in at one of the coldest times of the year…not you? Well there were plenty of volunteers. 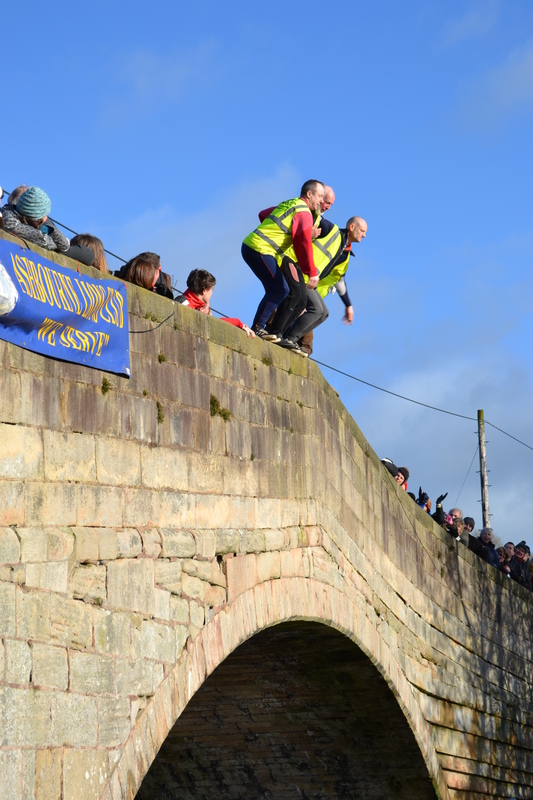 The day consists of two parts, the first is a mainly charity event where pairs compete a raft race, jump from the bridge and then run to the finishing line. 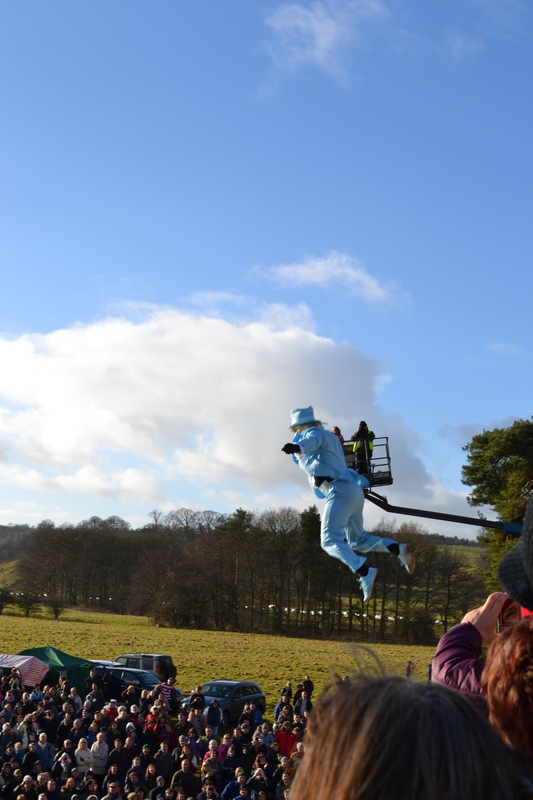 The second part appears more informal, a turn up and jump. In a way this is a traditional observation reborn. Water is always seen as significant in the new year (see the Cream of the Well post last January) and so in way this is a new custom from the view of the purifying nature of water on the new year….or is it a bit of fun? You decide. NOTE: This custom has now moved to Easter!! In Wales the lucky lady was called the Queen, and this may perhaps indicate some pagan association with the tradition. The Welsh had a similar tradition and the water best between 11 and 12 on New Year’s eve was sprinkled into houses. Here it was known as the crop of the well and often a box covered with mistletoe or holly was used to contain it. Unlike that of Northumberland, the water would lose its powers until the next New Years although in some sites it would turn to wine. 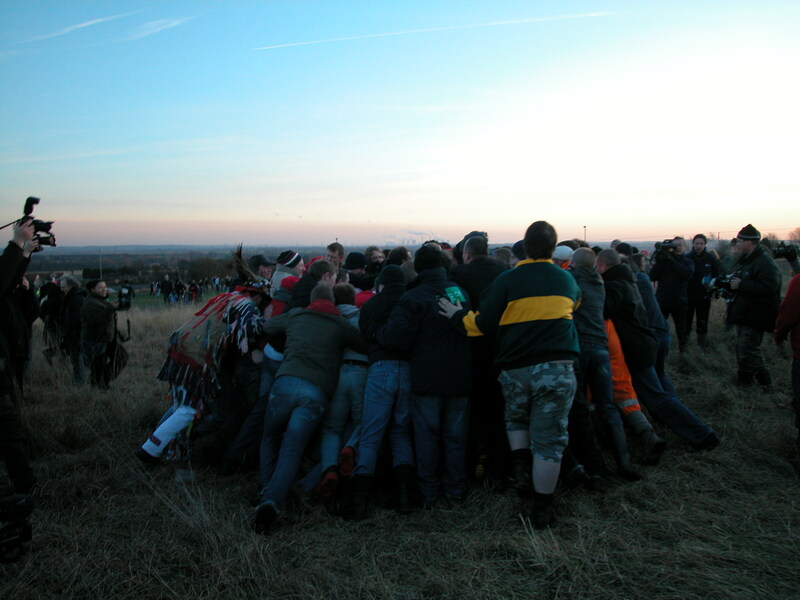 The tradition does not appear to be noted further south than the Herefordshire example above and mainly in areas affected by neighbouring Celtic areas such as Wales and Scotland. Similar traditions occur at Beltaine/May day further south indicating that the 1st of January was a rather unEnglish tradition. 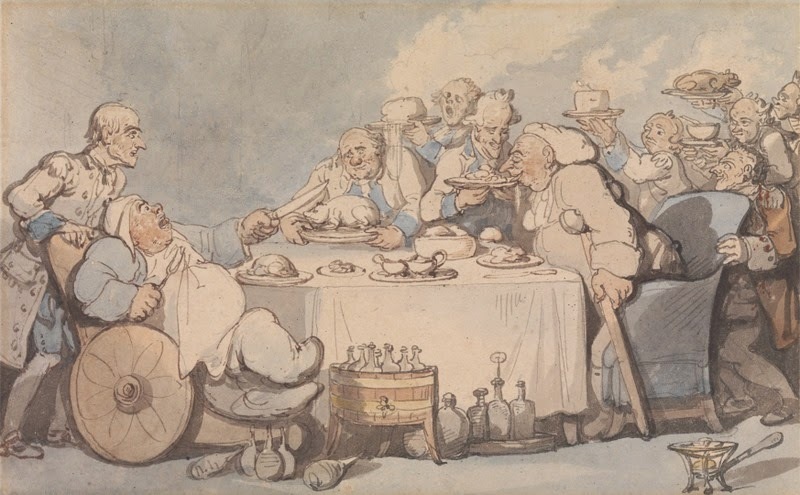 New year was more often celebrated in the spring in the South, although even in Scotland at some wells, the cream of the well could be obtained on the first Sunday of May..however this is another tradition to discuss at a later date.